Kansas guard Ochai Agbaji (30) puts up a shot over Washburn forward Jonny Clausing (42) and Washburn guard Jalen Lewis (20) during the second half of an exhibition, Thursday, Nov. 1, 2018 at Allen Fieldhouse. The groundwork was laid a couple of days earlier, but the move became official on Tuesday night. 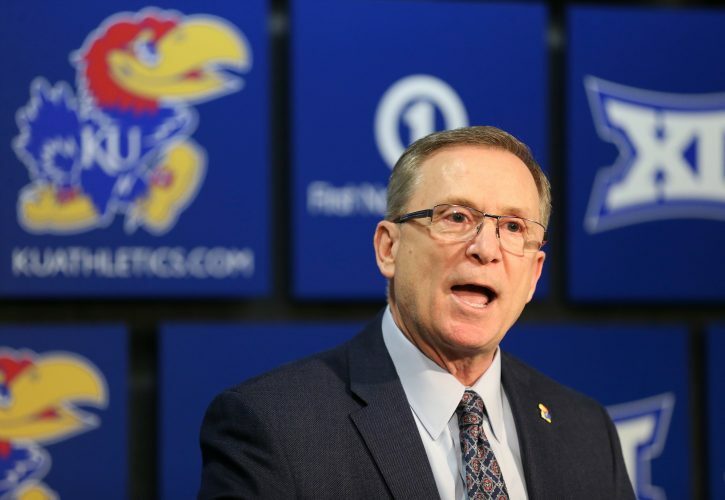 On his weekly “Hawk Talk” radio show on KLWN on Tuesday night, Kansas basketball coach Bill Self announced that freshman guard Ochai Agbaji would in fact be available to play during Wednesday’s game against No. 25 TCU. The move to bring Agbaji into the lineup will put an end to the plan to redshirt the 6-foot-5 freshman from Kansas City, Mo. 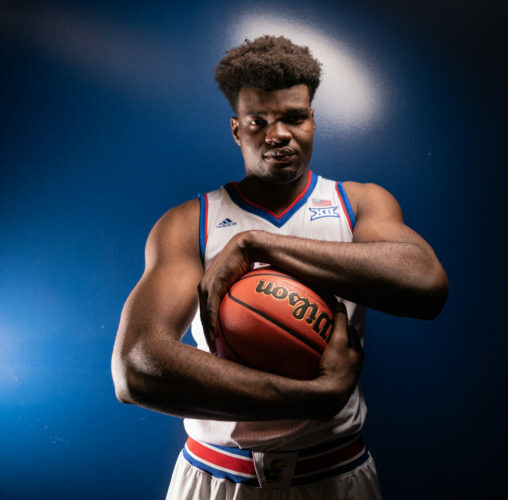 And it figures to inject a little life into a KU roster searching for ways to move on without 7-foot center Udoka Azubuike, who was lost for the season after suffering a wrist injury during last Friday’s practice. Agbaji, of course, will not slide into the 7-foot center’s position. But he will bring an added element of athleticism and perimeter depth to a team that figures to play a lot of four-guard lineups the rest of the way. 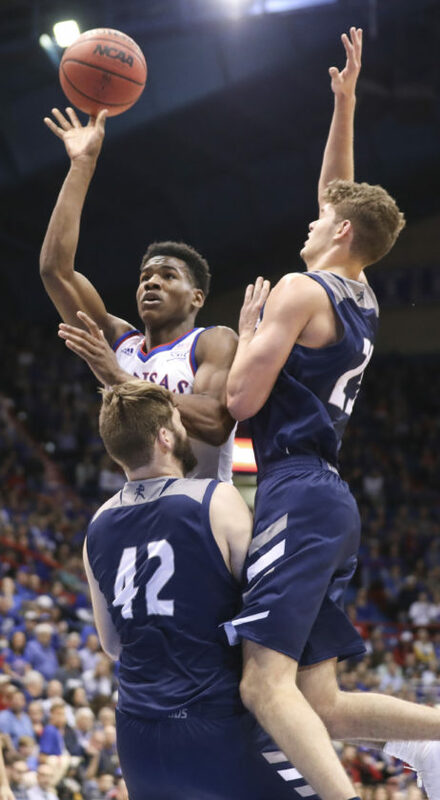 “We are bringing Ochai out of his redshirt and he will play tomorrow and moving forward,” Self said on Tuesday night. On Monday, Self revealed that he had talked to Agbaji and his family about a possible move. He also noted that he would not pull the redshirt off of the talented guard unless he intended to play him. Just how much Agbaji will play, especially on Wednesday, remains to be seen. 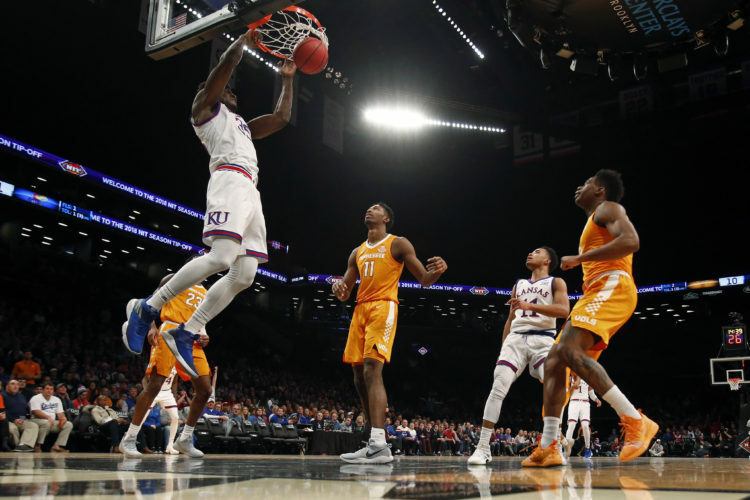 But his teammates have said he has looked great in practice and that his ability to defend and play above the rim would be an asset to the KU program. Dating back to last summer, Agbaji has approached his first season at KU with a team-first mentality 100 percent of the time. He said then that he would love to play but added that he would do whatever Self and the coaching staff thought was best for him and the team. At the start of the season, that certainly was to redshirt to save a year of eligibility. 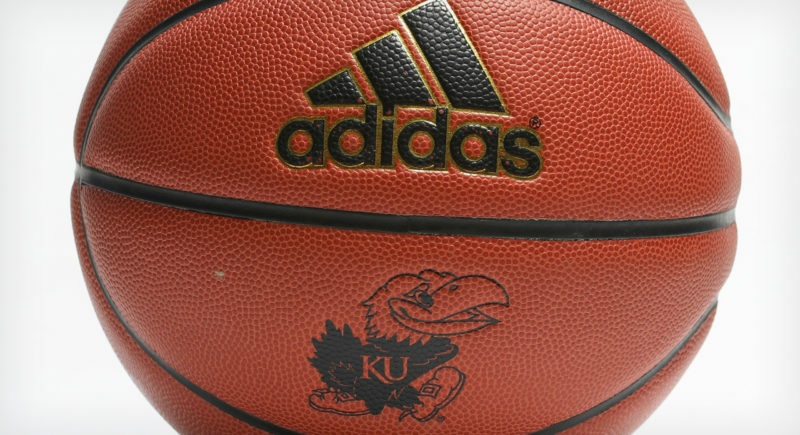 But with the injury to Azubuike and Silvio De Sousa still facing an uncertain future, KU’s depth has dwindled and the Jayhawks figure to be able to use Agbaji as a rotation piece who can keep things fresh on the perimeter and make some plays with his good attitude, all-out hustle and athletic ability alone. 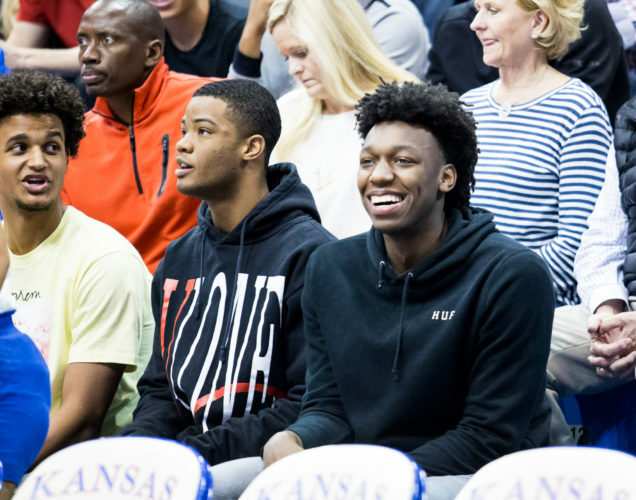 People close to the program said Agbaji was one of the more talented and consistent players on KU’s roster throughout the summer and called him a pleasant surprise given how late the Jayhawks landed him in the recruiting process. He only has improved since then, both as a player and in terms of his physical make up, and has been a real asset in practice, pushing the starters and rotation guys as a member of the scout team on a daily basis. In his last and lone action in a game setting at Allen Fieldhouse, Agbaji played 23 minutes in KU’s two exhibition games, finishing 5-of-5 from the floor, 3-of-3 from 3-point range for 14 points and 7 rebounds. He added two turnovers, a block and a 1-of-2 clip from the free throw line in KU’s wins over Emporia State and Washburn. As Self mentioned on Monday, the stage Agbaji is stepping into on Wednesday night will be much different than those exhibition games and unlike anything the freshman guard ever has experienced. But all signs point to him being ready and he certainly seems mature enough to handle it. KU and TCU are scheduled to tipoff at 8 p.m. Wednesday on ESPN2 at Allen Fieldhouse.